We’re guessing that you had a good Christmas and New Years. Obviously, we can’t know exactly how you spent the holiday season. There are so many of you. But the one thing we are pretty certain about is Facebook. More specifically, we bet at some point over the holiday period you either saw someone use Facebook Live or you used it yourself. It has very much become a big thing, and over Christmas and New Year’s, Facebook Live exploded. This massive growth in user numbers was also a bit of a surprise. It’s not the only service for live streaming. People had a choice. It’s just that most of the world seems to want to use it rather than the competitor services. Facebook has made it clear that it wants people to use Live as a documentary platform, and that it should have its biggest impact during cultural and social events. This means New Year’s Eve, for one thing. The company has stated that it broke its own records on New Year’s Eve. People like using it or seeing streams come up on their devices. This means that brands can capitalise on this love for the platform. One key way in which businesses can use Facebook Live is to answer questions and queries. This is now used a lot by companies that want to feel they are providing good customer service. We don’t recommend that you deal with serious issues or complaints on Facebook Live, but it is a good place to set up a live stream, and deal with those interesting queries you get. If your customer simply wants to know the answer to a question or two, and you have the ability to help them out, this is a perfect opportunity to deliver value. You may have heard of ‘Ask Me Anything’. Well, take a look at the top ten queries that have come through your customer support and use Facebook Live to stream an ‘in the moment’ set of responses. It means that your audience gets the very latest answers, and the live aspect is also engaging and compelling. This one is an easy one. If you have a product launch coming up, stream it. You could be opening up the box on a new iteration of your product. You could be modeling your new shirt (or a model could) and streaming it. Streaming product launches brings an air of exclusivity to it. Inviting only the audience on your mailing list adds to that exclusivity. However you do it, by making it ‘live’ and in the moment, you are creating a sense of excitement and anticipation. Chevrolet produced a key example of this from CES, where they simply streamed the launch of a new vehicle. The best thing was that it felt like you were part of an exclusive event, and in a way you were. Not everyone gets to go to CES, but the opportunity to watch the unveiling of an exciting new vehicle (a groundbreaking one at that) via your devices made it a surefire win for the brand. You could make things even more exciting for your audience by teasing the new product, rather than simply opening up the box. This is a technique that stretches way back into the mists of time when it comes to basic marketing. With a product launch approaching, use Facebook Live to show very quick reveals of the product at an angle, for example. This works particularly well with tech products, where people are practically salivating at the prospect of seeing a glimpse of a new product before anyone else. It is definitely worth trying as a brand, and the fact that Facebook Live has that instant feel gives it the sense of a proper advertisement that builds hype up. It’s a genius idea if you have a physical product that fans are waiting for. Another easy and very quick way to boost engagement. Take the camera around your offices and show your audience what it’s like to be part of your team. This obviously works best if there is a bit of life in your team, with some personalities thrown into the mix. Brands always do very well when they show their human side, so the tour of the office is a good way to get people ‘tuning in’ for a limited time. It allows an audience to get to know you, and it also helps if you are able to show the work that goes into a new product, or simply in delivering your product. If your audience is interested in how you do what you do, this is a perfect way to show it. Not that you can offer the same level of culture and tradition, but we reckon this stream by the Metropolitan Museum of Art in New York gets the ‘open up the office’ vibe down perfect. If you have a Facebook Group that has been running for some time and has loyal members who regularly communicate with each other, Facebook Live is useful for pulling everyone together. Use it to run meetings or seminars for example. The immediate nature of Facebook Live makes it feel like a real meeting, and the shared interests and mission that the group has fits neatly into the live context. The group will most likely appreciate updates on a regular basis from your brand. This also brings some exclusivity to the experience, and creates that ‘club’ atmosphere that builds loyalty and encourages an audience to evangelise. 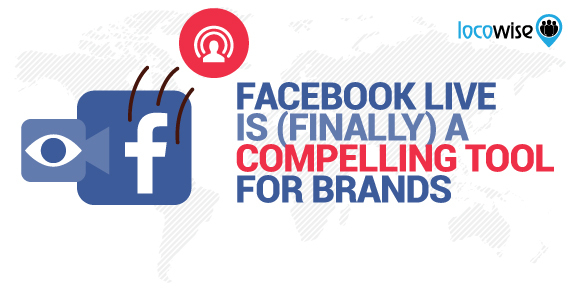 It is clear that brands are fully aware of Facebook Live and how it works. But the reason we’re excited about it now is that it has grown massively in just the last few weeks. The user base of Facebook has finally embraced it, and people are used to using Facebook Live itself. It feels natural, and not forced anymore. Previously, it felt that Facebook was ‘making’ people use it. Now, people are just using it because they want to. Because Christmas and New Years had this huge impact on Facebook Live (Facebook isn’t giving numbers, but it’s pretty impressed with itself), this means the audience is ready for more of it. 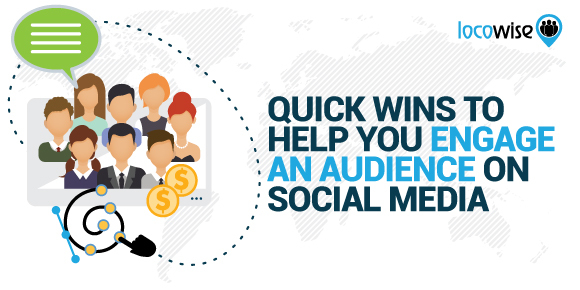 Want some of the best metrics data available on your social media? Try Locowise for free, for fourteen days. 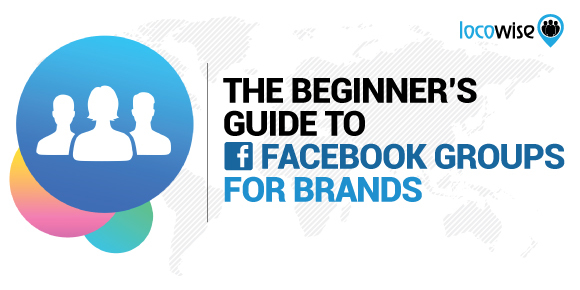 It’s easy, fun, and it helps you understand your social media better.